If you are on the Big Island of Hawaii, you can take highway 130 in Puna down past Keaau, past Pahala, all of the way to where it ends in Kalapana. 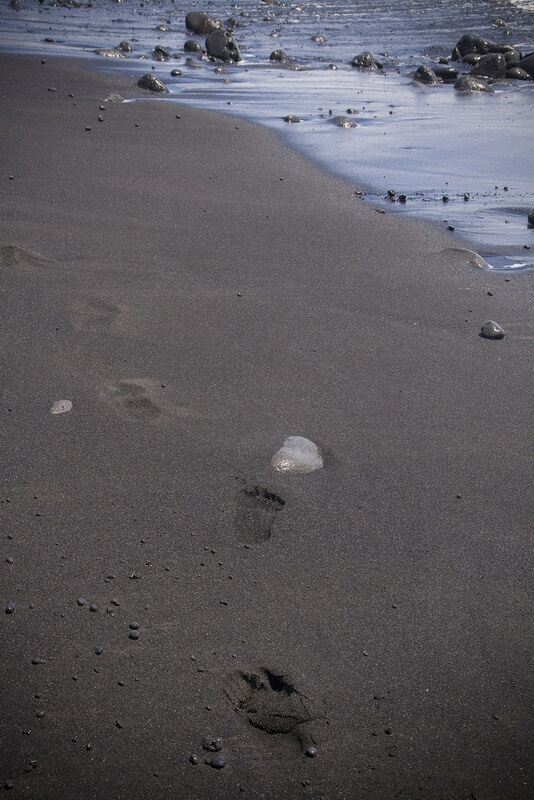 In 1990 a lava flow covered most of the town and the Kaimu black sand beach. 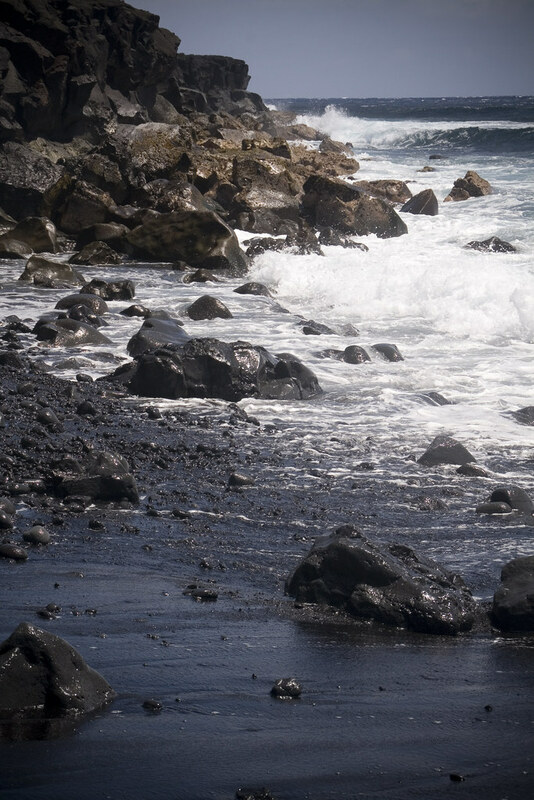 Today if you drive out there, you get to a viewing area where you can watch lava pour into the ocean. 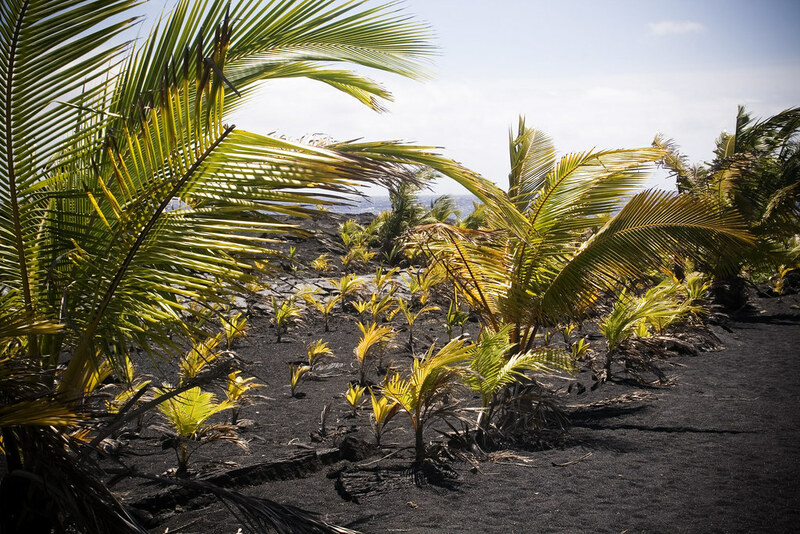 You can also walk over the lava flow toward the sea, where coconuts have been planted as part of a land reclamation project and where a new black sand beach is forming. John and I were in Hawaii toward the end of March. 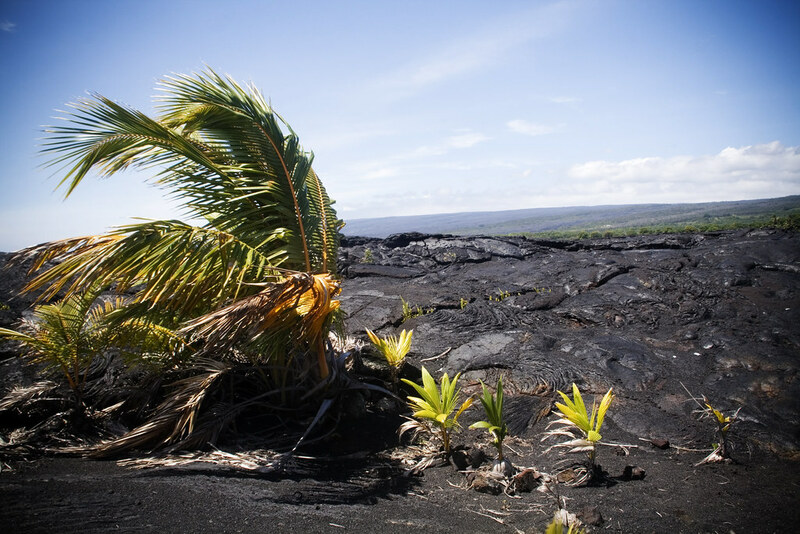 We stayed in a vacation rental up in Volcano near the National Park and spent our days hiking, swimming, and wandering around exploring the Puna region. I have finally started to edit and upload my photos, and they can be found here on flickr. O seasonally-appropriate weather, where art thou? I have never been one of those flexible kids. Those cheerleader types. The ones who can turn a perfect cartwheel, handspring, or backflip.